A much-needed slice of work from Juju – the group who later transformed into spiritual funk ensemble Oneness Of Juju! 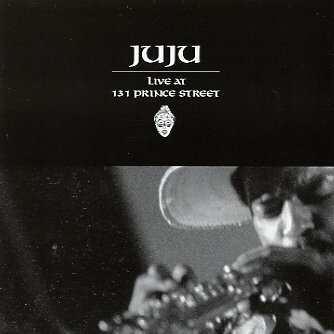 Juju only recorded two full albums in the early 70s, so this unissued live set is a key addition to their catalog – and the whole thing's got this bold quality that's much more jazz-based, and often more avant than the group's later work – more in line with work in the tradition of the AACM, or some of the earliest loft jazz talents. No surprise, the set was recorded at Ornette Coleman's space on the lower east side in the early 70s – with the mighty Plunky Nakbinde on saxes and flute, sounding a lot more searing than any of his records from the 80s onward – plus Babatunde on percussion, Lon Moshe on vibes and flute, and Al-Hammel Rasul on keyboards. There's a bit of vocalizations, and lots of percussion from group members too – and the sound is very spiritual, with touches of more percussive Afro-centric playing. Includes a great version of Eddie Palmieri's "Azucar Para Ti", plus "At Least We Have A Horizon Now", and "Live Mozambique". © 1996-2019, Dusty Groove, Inc.